Every time I look at my son, he is magical. The way he manipulates me, engages me, goes off and faces new challenges and doesn’t need me – he fills my heart with joy and he has developed a magical talent for making me absolutely furious and then with literally a blink of his blue eyes reminds me how scrummy he is. However, this post isn’t about him…it’s about you. When I look in the mirror I love what I see. Jennifer Anistons reflection would be preferred and sure I recognise my imperfections but ultimately I love me. How do you feel about you? Most people can see others negative and positive qualities but magnify only their own negatives. Everyone writes their own name at the top of the paper, they fold it and then everyone in the circle takes a turn at writing something positive about that person. All the comments are hidden by fanning the paper as you go to conceal the answers…at the end the person who’s name is at the top opens it up and reads the positive comments – this is great for positive reinforcement and self love. Amazing motovational speaker and founder of Hay House, Louise Hay is a huge fan of ‘mirror work’ there are many variations but in essence you look in the mirror and affirm that you love your self, that you are worth it…and so on. When you rub against negativity you work on those areas. I’m not sure you go the full ‘mirror mirror on the wall’ but I wonder how many people avoid just looking at there own reflection. Growing up I had a friend who had no mirrors in her house, not one. Do you look at women in the media and see yourself as insignificant? Do you make jokes at your expense before other can, perhaps to hide your insecurities? 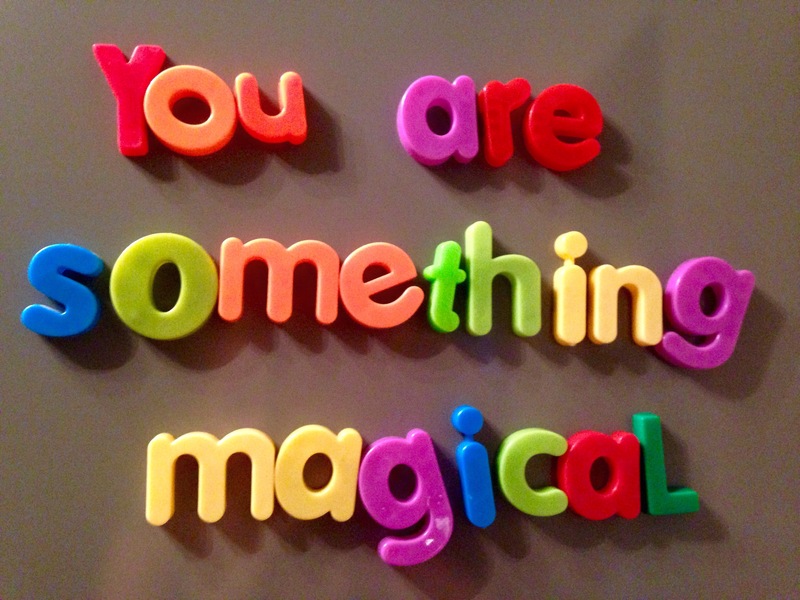 Today remember that you are amazing, you have achieved so much already and hold so much potential – remember you are magical and deserve to be told this and believe this. Loving yourself isn’t arrogant its essential. I think we might do some self love stuff like this in form time this week!